J. Jane Consulting | allison carter. north carolina. | mother. wife. freelance writer. 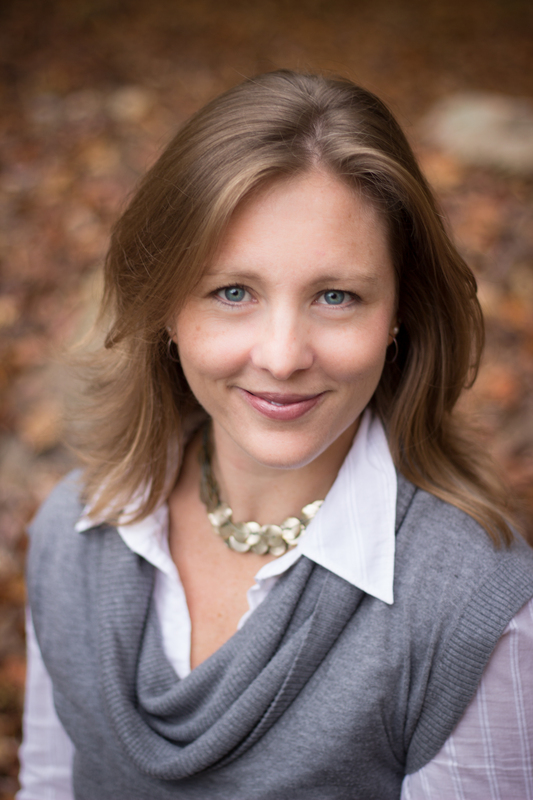 Allison Barrett Carter is a freelance writer from North Carolina. After reading one of her pieces in the New York Times about making sacrifices to stay at home to raise her children, I literally stood up from my breakfast table and applauded her from Richmond, Virginia. Bravo, lady! I had a strong urge to thank her for saying what needed to be said—on a public platform. Allison’s article entitled “A Stay-at-Home Parent Is Not a ‘Luxury’,” echoed millions of conversations heard around the world. We have all heard the tiresome arguments on what is best for the children and family, “working mothers” or “stay-at-home mothers,” to a nauseating extent. In her article, she writes “In our society, there are so many different options for parents. In the end, a happy parent makes a happy family. It’s not about who is staying home or going in to work for how many hours.” Well said, Mrs. Carter. Imagine the reduction of stress that would occur if we all did what makes us happy and stopped the judgement—of others and ourselves? I think we can all agree that the majority of women are working extremely hard, personally and professionally. In my mind, we need to support one another a little more—and judge a lot less. After all, life is short and we all deserve to lead happy lives—non-parents, parents and children, alike. Allison Carter believes that smart parenting can change the world, one child at a time. This is a movement we all should be marching in the streets to support. The world would be significantly different if every child was born into a loving family that offered guidance, discipline and unconditional love. There is no way around it … smart parenting matters. Allow me to introduce you to Allison Carter. Her pieces have appeared in places such as the New York Times, Motherlode, Scary Mommy Mamalode, and Mamapedia. Allison and her husband live happily together while raising two young boys. Her prose is thoughtful and smart, a delightfully refreshing combination. You are a mother of two and freelance writer. Was there a fork in the road that distinctly determined your lifestyle and/or career? Many moons ago, pre-kids, I was enrolled in law school. At that time, my husband and I were deliberating starting our family. We realized (he, more so than me, being the practical one in our relationship) that if we were to invest in law school it would take the option to stay home with our kids off the table – I would have to pay back the investment. I remember not knowing what I wanted to do but also that I didn’t want to limit anything either. So I deferred enrolling. Then we got pregnant, joyfully, and as I was at a career crossroads anyhow, at the time telecommuting for PBS, I decided to give the “stay at home thing” a try. We decided to cut back, move, and rework some things. My writing and blogging has always been my for me hobby that I do for fun and for an identity outside my home’s walls. Recently, The New York Times published your article (essay) “A Stay-at-Home Parent Is Not Luxury.” Why do you feel so many people have an opinion on the choices families make surrounding work out of the home verses inside of the home? I think that every single parent out there truly wants to do the best they can for their children. The issues come because there are one million choices A DAY that parents have to make (How much TV can they watch? What time is bed time? What’s for dinner? Do I pack the backpack now or later? Do I make them make their beds or let it go? ), without a manual or any guarantees. So at the end of a day, lying in bed at night, we look back over the day and over the life we have made and we play the “what if” game. When we play the “what if” game we also allow feelings of guilt and self-doubt creep in, and when those enter we start to feel the need to seek outside acceptance and affirmations. We want to know that we are doing Okay, that we are Right. We fight to hear that, and we disavow anyone who made different choices than us because we want to be Right. Which is all kind of bizarre since these strong feelings stem from the same underlying mission: making the best parenting choices we can. Every family is so different, choices have to be made for the best of the unique dynamic. You wrote “The Answer to the Great Debate” on your popular parenting blog. (Bravo – very well done!) What is your best advice to those parents who have to make the difficult decision to work or be a stay-at-home parent (a.k.a., work without financial gain)? Thank you so much! I say, do what makes your heart full but do not kid yourself: it is all hard! If you are looking for the easiest way to parent, there isn’t one. Parenting is just tough and stressful whether you stay at home or whether you work. The challenges are unique and different, but there is no easy answer. But children, and partners/spouses, know when you are not full and happy. So if what you are doing isn’t making you full and happy, change it! Whether that means modifying the financial equation (moving?) to stay home or heading back to work where you feel empowered and smart, DO IT. Allow yourself to be happy, be full, and you will be a better human being. Do you feel women or society in general apply this enormous pressure on women to do it all? Let’s face it—men are not blogging about guilt or balance. I have been enormously blessed in two ways: 1) my greatest obstacles in no way match the suffering I see in humanity across the globe and 2) I don’t really remember my obstacles. That’s not a joke, I just don’t carry the negative. Eating disorders, deaths, tragedies … I honor them but I don’t carry them. Since we are talking about parenting, though, I will say that transitioning to being a stay at home mom was very hard for me. I had a prestigious job that I felt made a difference. I liked to brag about my job. I got raises and an office with a window and talked about Big Ideas with important people. Leaving all that behind to be with an infant racked with ear infections every day of his life until the third month was hard. I realized I had to know when to ask for help and not feel guilty. I had to be patient and forgiving with myself. I had to let myself get angry and cry. I had to let go of perfection. I had to find MY OWN WAY to do it, not someone else’s. I am happy to say that five years later I am closer. Not there yet, but closer! If you had to choose only three traits you wish your children would carry with them through life, what would they be? 1 – Laugh at yourself. If you take yourself too seriously you’ll drown. 2 – Always say “yes” to the adventure. 3 – Believe in the good in other people. Be patient with everyone in your life—including yourself. Check out more of Allison’s outstanding work at GoDanskerMom.com and connect with her on Facebook.